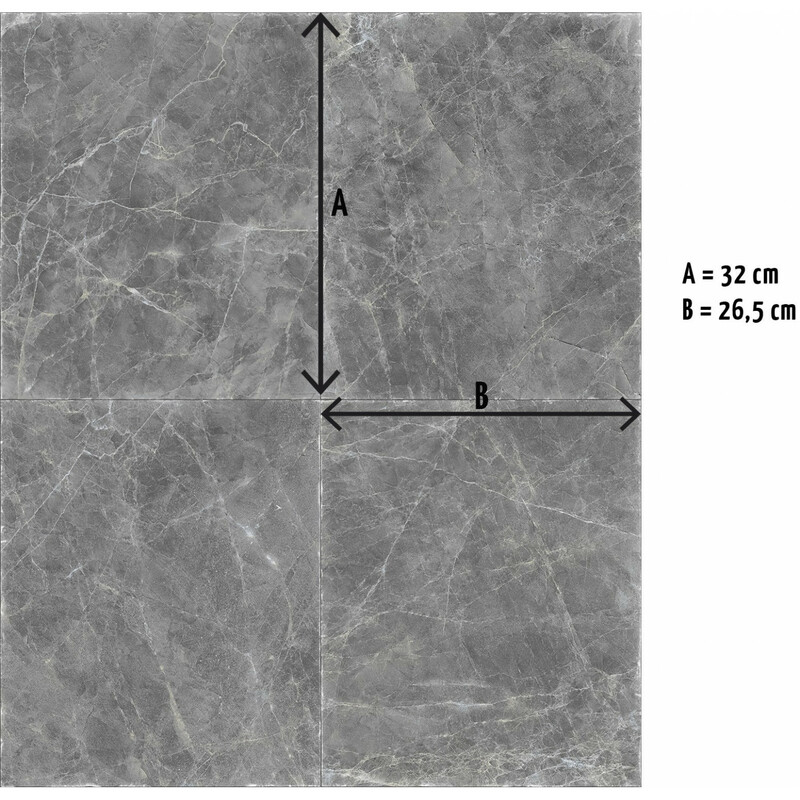 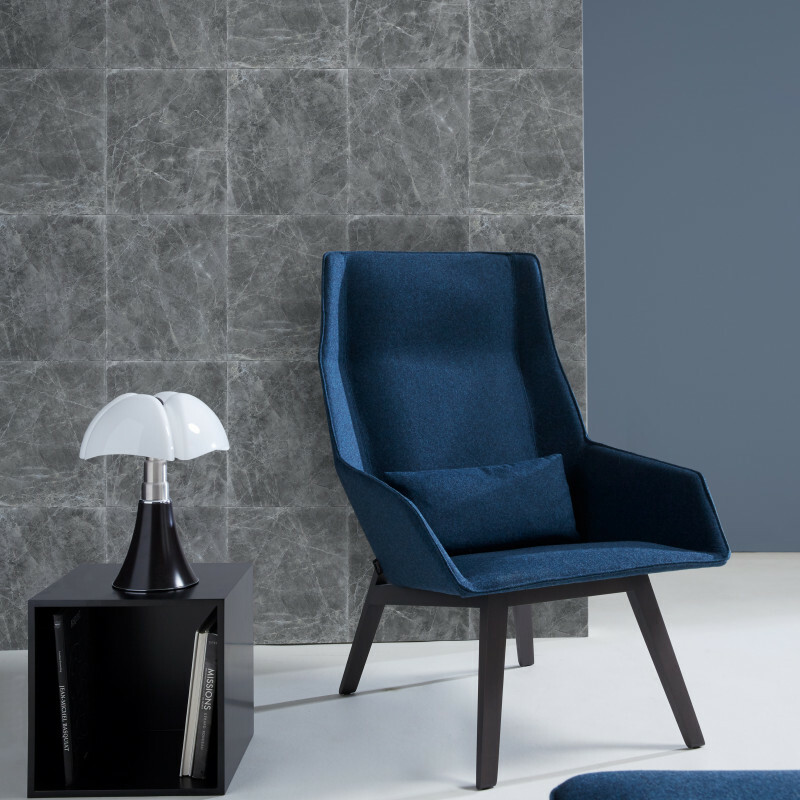 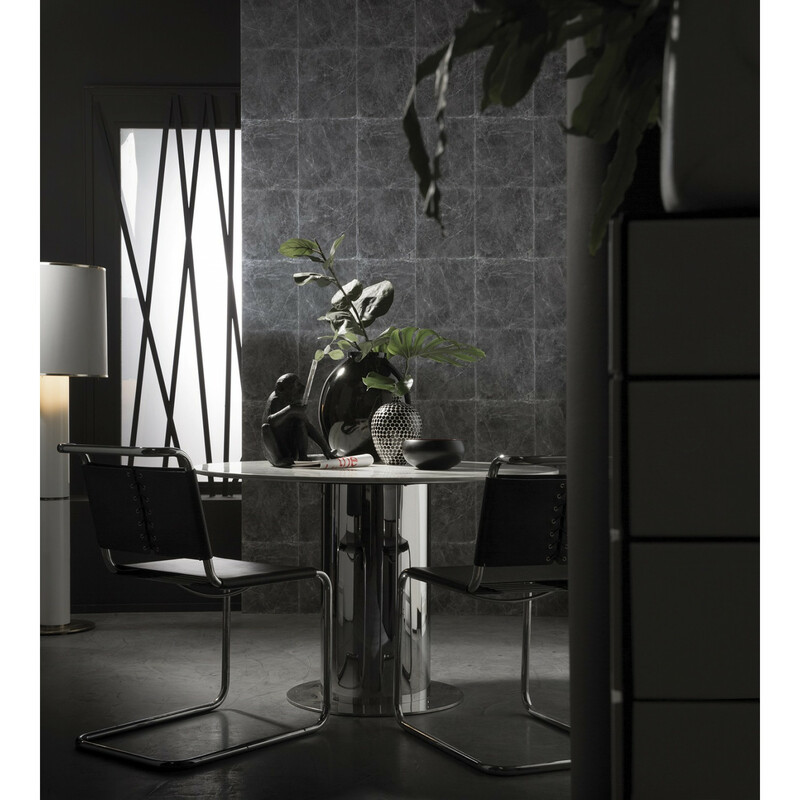 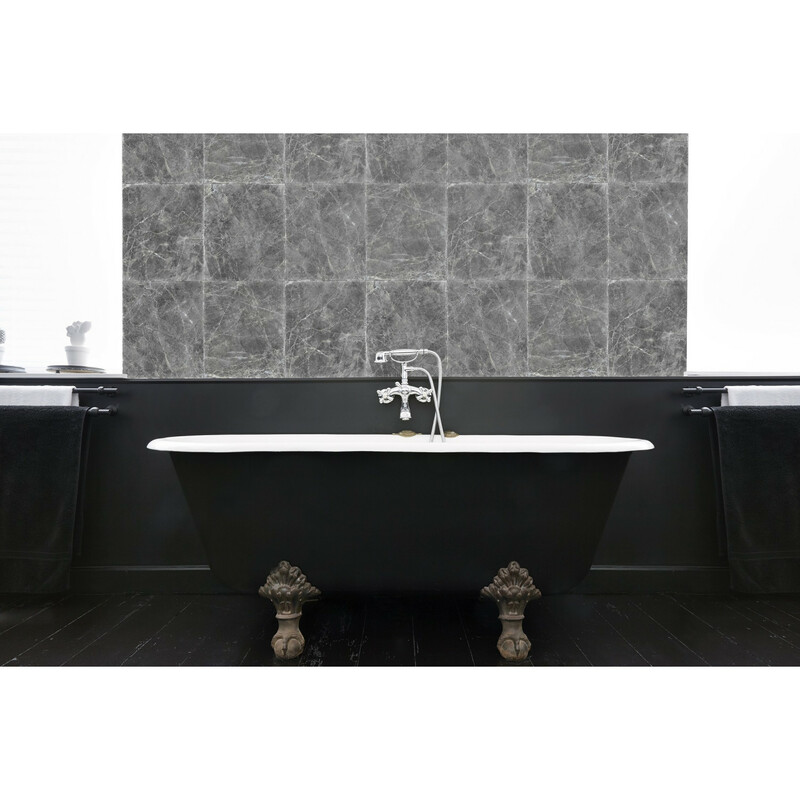 Display the Spanish Emperador Marble on your walls with this exclusive wallpaper depicting rectangular slabs of intense gray stone. 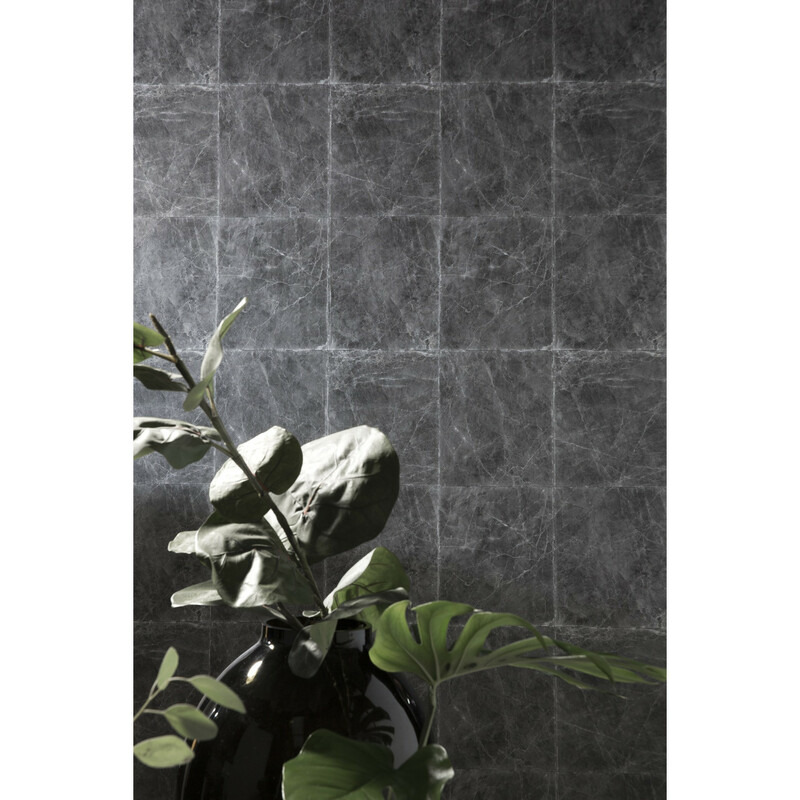 Here stands a beautiful natural stone highly appreciated for its sobriety and its timelessness. 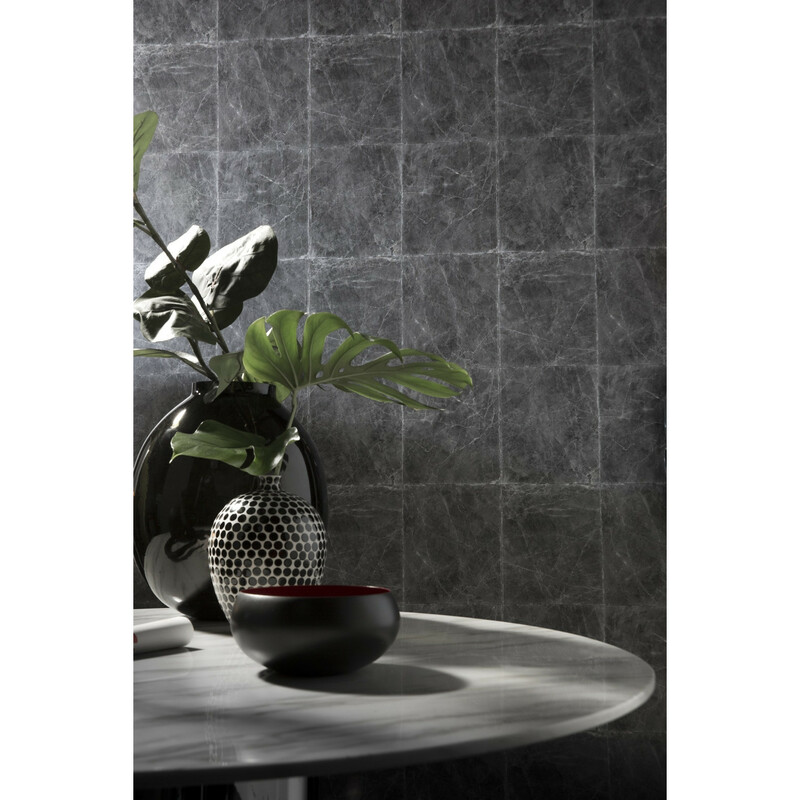 The extremely realistic wallpaper transcribes with amazing fidelity an ultra-chic marble with a surface so smooth you would almost feel its porosity. This new creation by KOZIEL Studio can be appreciated as a casual yet respectful allusion to the stonemasons magnificent work.